For our 76th social mixer, we've invited a special guest from the Chinese Motherland, Byron Constable, Chairman of the Shanghai Race Club﻿, established in 1862. A 20-year China Hand and serial entrepreneur, Byron is now applying his knowledge of digital marketing to convert the Shanghai Race Club from a business based on turf to one based on the world wide web. This year the Club launched Paoma.com, a community for horse-lovers in China, who can browse, purchase and follow their four-legged friends compete in all the top European races. The first Paoma live streaming broadcast, a partnership with leading Chinese video streaming service, PPTV, and British racing site, At The Races, attracted over 500,000 views! You can find Paoma on Weibo, Twitter, Facebook and Pinterest. 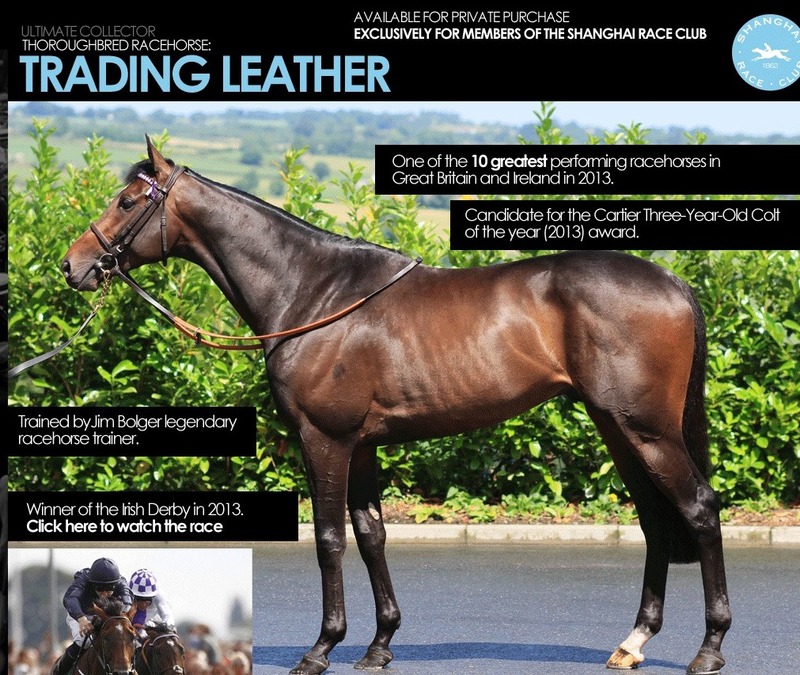 Tapping into the e-commerce boom in China, Paoma.com recently launched an online store created for a new generation of racehorse buyers and collectors in Mainland China. 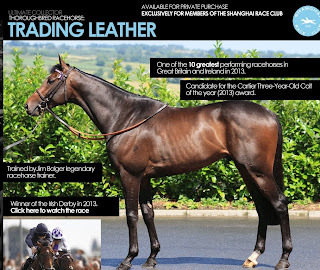 The store features the racehorse, 'Trading Leather", winner of the Irish Derby in 2013 for sale at US$16.15M. Do I here a bid from Wenzhou? Doors open at 6:30pm with the interview starting at 7:15pm on Wednesday 16th October, 2013 at Bisous, 9/F, LKF Tower, 33 Wyndham St, Central, Hong Kong. Sign up to attend on Facebook or MeetUp. Remember to dress up for this one as we hope to recreate Royal Ascot Races in the lush fields of Lam Kwai Fong!